Alien murderthon Destiny 2 [official site] is coming to PC for real. You know what that means: no more qualifying all our news posts with “but this is just a rumour.” Hooray! The news comes as part of a “reveal trailer” which is a stupid name for a trailer when there has already been a video showing its existence. That and the shooter was officially revealed by a tweeted logo earlier this week. But never mind, let’s take a look at what we can expect from the MMO-ish sequel in the video, found in the nether regions of this post. So there you have it, a mix of the first game’s over-serious light versus dark non-story, and the Deadpoolesque dialogue of robot Cayde-6, voiced by Nathan Fillion. Everything from the first game you held dear seems to have been burned to the ground by a marauding enemy. Expect to shoot them from September 8, with a beta coming some time this summer. The fact it was coming to PC has been more or less an open secret. 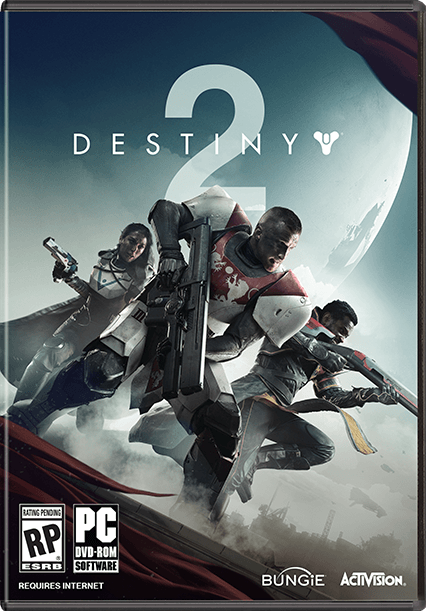 Even as the trailer went up, the official website’s pre-order page today listed PC as an option, boasting box art with ‘PC’ clearly stamped on. Not to mention all the previous rumours fuelled by leaked poster art and errant lines from financial reports. Anyway, it’s real now. There you go. Tagged with Activision, Bungie, Destiny, Destiny 2.